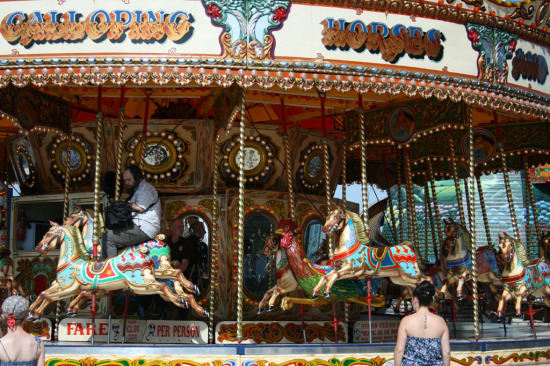 I was making a binaural recording of this fairground roundabout when another sound recordist arrived to get a clip from the ride itself – he asked the proprietor if it was okay at the beginning of the clip. An exasperated mother has to take a big kid and a little kid to task after Dad pushes his child’s scooter too fast. Overheard on the way to the Ipswich Beer festival by the docks.